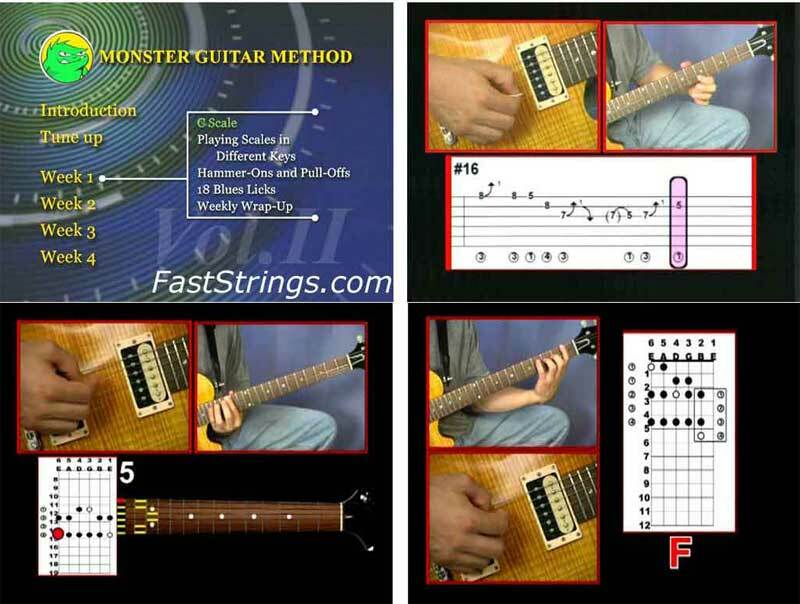 Here is where you are going to learn how to move or ‘transpose’ all of the scales you learned in Volume 1 into different keys. You’ll be able to figure out what chords go with any given key (chord harmony). Also, you’ll be able to match major and minor scales in the same key (relative minor), as well as borrow notes or chords from different keys (parallel). You’ll get deeper into reading and playing rhythmic notation (up to sixteenth notes) and use it for some cool funk riffs as well as other jams. We’ve also got some other monster goodies packed in there like hammer-on and pull-off techniques, harmonics, and new blues/ rock licks. Of course you’ll love the jam CD that’s included. When you’re done with this one, you’ll be saying ‘how ya like me now? Download file size is 7 b not 500.0 Mb.